James Rubin is an analyst, consultant and commentator on world affairs and U.S. foreign policy. James Rubin has worked for thirty-three years, in and out of government, in the field of international affairs and U.S. foreign policy as a practitioner, commentator, professor and broadcaster. James Rubin is currently a Contributing Editor at Politico, writing regular columns on world affairs. Prior to that, he was Senior Media Adviser for National Security Affairs for Hillary Clinton’s 2016 presidential campaign. Mr. Rubin was Assistant Secretary of State for Public Affairs under President Bill Clinton and Chief Spokesman for Secretary of State Madeleine K. Albright (1997 – 2000). In 1999, he also acted as a special negotiator to secure the demobilisation of the Kosovo Liberation Army. From 2012 to 2016, he was a Visiting Scholar at Oxford University’s Rothermere American Institute, wrote a weekly foreign affairs column for the Sunday Times and co-chaired a high-level panel on Extending American Power for the Centre for a New American Security in Washington. From 2008 to 2012, while living in New York City, he was a Commissioner of the Port Authority and Counsellor to New York Governor Andrew Cuomo (2008-2010). 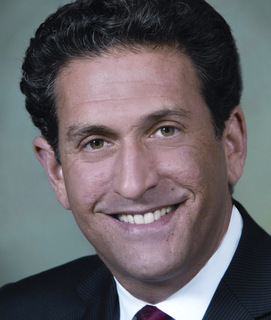 James Rubin was also an adjunct professor at Columbia University’s School of International and Public Affairs for three years, and in 2011 he was Co-Executive Editor for the launch of Bloomberg View. From 2000 to December 2008, James Rubin worked in London as Anchor and World Affairs Commentator for SKY News (October 2005 to October 2007), a Visiting Professor of International Relations at the London School of Economics (2001-2004), a partner in the Brunswick Group – a financial advisory firm (2001-2004), and co-anchor of Wide Angle, an international affairs series on PBS (2002-2003). During the 2008 election cycle, Mr. Rubin represented Hillary Clinton’s campaign in debates and TV appearances on international affairs. In 2004, he was Senior Adviser for National Security for the Kerry/Edwards Campaign, and in 1996, he was Director of Foreign Policy for Clinton/Gore. Previously, he served as Senior Adviser and Spokesman for the U.S. Representative to the United Nations, Madeleine K. Albright (1993-1996), Professional Staff Member on the U.S. Senate Committee on Foreign Relations and Senior Foreign Policy Adviser to Senator Joseph R. Biden, Jr. (1989-1993). He began his professional career as a Senior Analyst and Research Director for the nonpartisan Arms Control Association. (1985-1989). He has written extensively for The New York Times, The Washington Post, The Economist, The Financial Times, The Sunday Times, The New Republic, Foreign Affairs, and Newsweek, and appears frequently on CNN, BBC, MSNBC and other international news outlets. Mr. Rubin serves on the Board of the International Peace Institute. He lives in London with his wife, Christiane Amanpour, and their son, Darius John Rubin. If you wish to book James Rubin, contact us here. "Having held top posts in the US government, James is an authority on US national security, foreign policy and geopolitics. Both a high profile and powerful speaker, he has worked on high-level negotiations in the Middle East, Iraq, Russia and China, and as such can provide unique insights into international affairs."